The Holy Week begins on the Palm Sunday. During the Holy Week we celebrate the mysteries of our Lord’s passion, death and resurrection, the central events of our salvation. Let us attend these celebrations with special devotion. There will be morning Mass in our church on Tuesday at 8 am. There will be no evening Mass on Tuesday. We invite all of you to attend the Chrism Mass with Bishop in St Henry’s cathedral at 6 pm. On the Holy Thursday the solemn Eucharist to commemorate the Last Supper of the Lord, the sacrament of Eucharist and priesthood. This is a feast of all priests. Holy Mass at 6 pm. There will be an adoration after the Mass lasting the whole night. There is a list on the information board, please put your name to indicate the time of your prayer especially during the night. 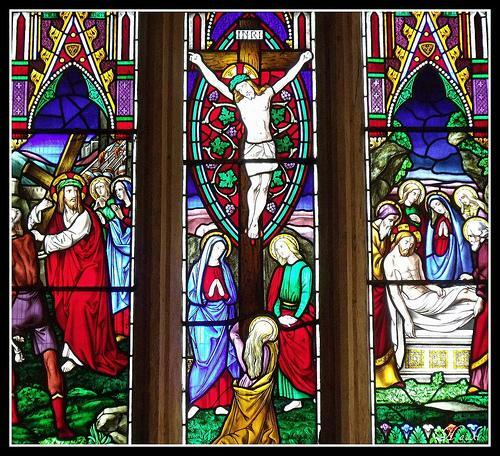 Good Friday – the celebration of Jesus’ passion and death at 3 pm. Confession starts at 2 pm. Good Friday is a day of fast and abstinence. Catholics between the ages of 18 until 60 are obliged to fast. In addition, all Catholics 14 years old and older must abstain from meat. Fasting means partaking of only one full meal and two small meals. There will be a Good Friday’s liturgy in Arabic at 6 pm. on the Easter Sunday the bishop’s solemn Mass in Finnish at 10 am, Mass in Vietnamese at 11.30, Mass in English at 1 pm, Mass in Polish at 4 pm and Mass in English at 6 pm.